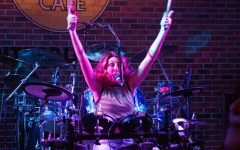 Talia Balzano performing with Spinning Jenny at the Hard Rock Cafe. Pittsburgh, PA. March 16, 2019. RMU Sentry Media/Garret Roberts. 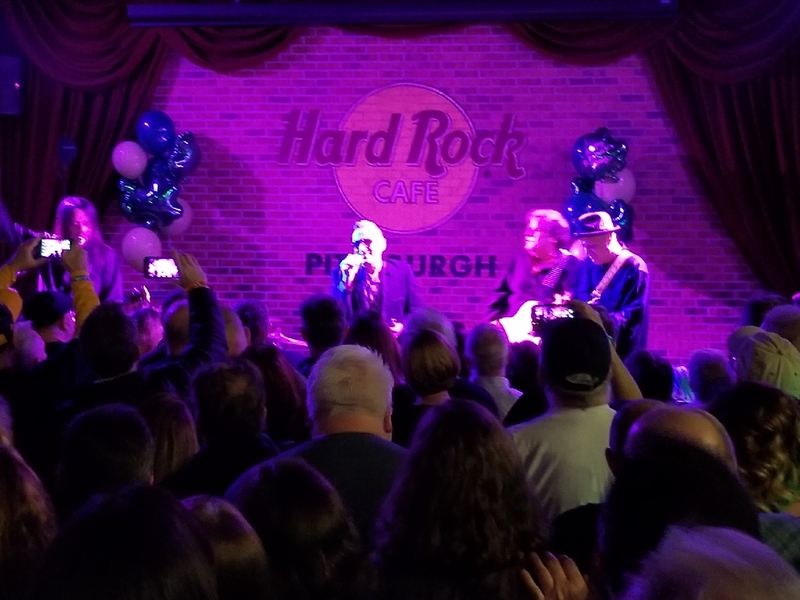 Spinning Jenny and The Silencers filled the Hard Rock Cafe from wall to wall Saturday night, proving that rock and roll is still an important part of Pittsburgh’s culture. 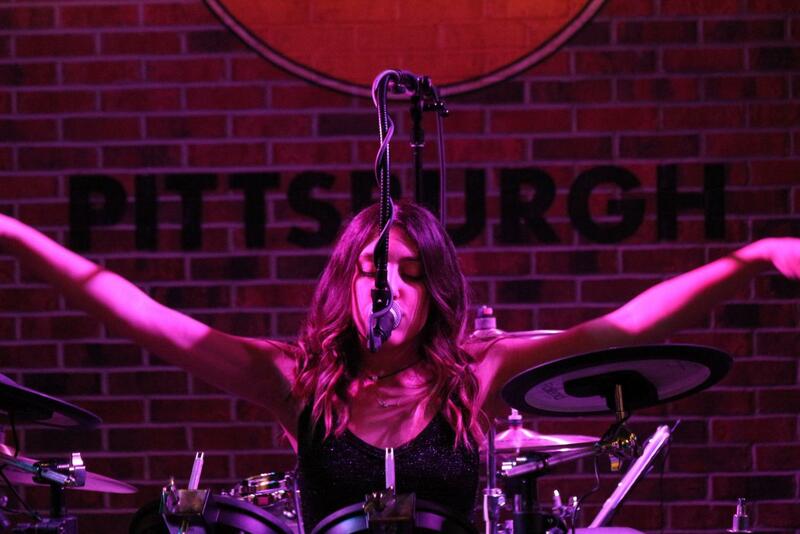 Giving a stellar performance to a sold-out show, both bands earned plenty of applause from the city’s rock fan base. A mix of old and new rockers, the line between generations became blurred as the music united the room. Spinning Jenny, which features RMU senior Julia Balzano, quickly grabbed the crowd’s attention. Setting the tone of the night, they began the show with an energetic cover of “Hazy Shade of Winter” by The Bangles. The crowd was instantly captivated, preparing for a night of rock and roll from the band of sisters. 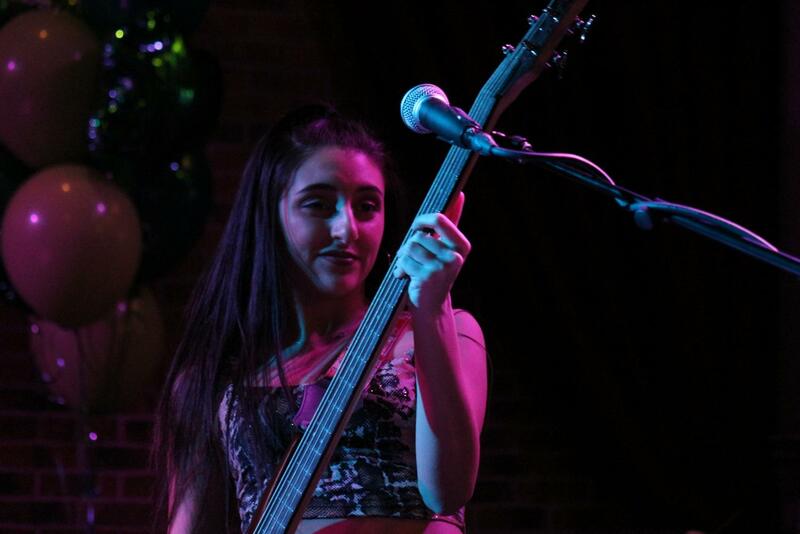 Angelina Balzano during Spinning Jenny’s performance at the Hard Rock. Pittsburgh, PA. March 16, 2019. RMU Sentry Media/Garret Roberts. The band brought a variety of interesting covers to the stage for this performance, including David Bowie’s “Changes,” Celine Dion’s “Drove All Night,” Abba’s “S.O.S” and a-ha’s “Take On Me.” They also played a mash-up of popular songs from the 1980s, prompting plenty of cheers from the crowd. 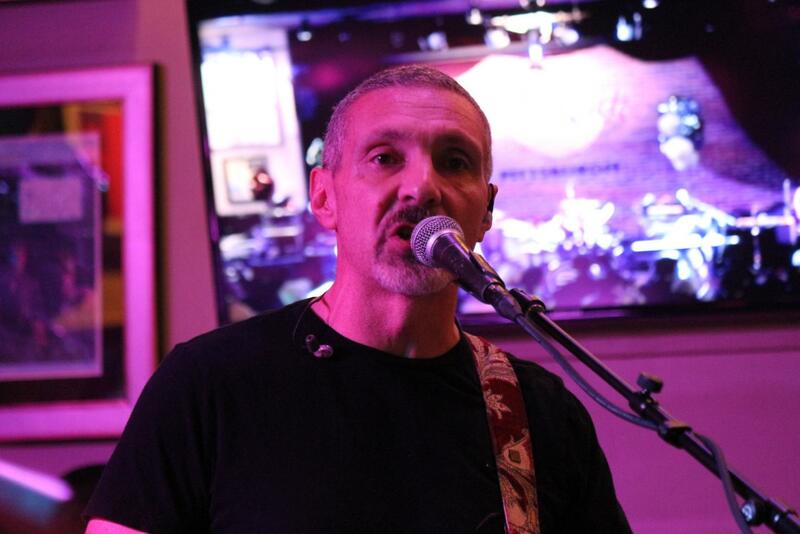 John Balzano performing with Spinning Jenny at the Hard Rock Cafe. Pittsburgh, PA. March 16, 2019. RMU Sentry Media/Garret Roberts. 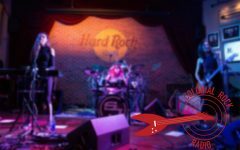 The songs got an amazing response from the crowd, even enticing the staff at the Hard Rock to dance and sing along to the music. While many of the people at the concert may not have heard of Spinning Jenny, the band made sure the audience would walk away knowing their names. While the energy was high throughout the first act, the anticipation in the air for The Silencers was tangible before their performance. Fans poured in the doors wearing their band T-shirts and leather jackets, making the entire venue warp back to 1981. The crowd surrounding the stage as The Silencers begin their act. Pittsburgh, PA. March 16, 2019. 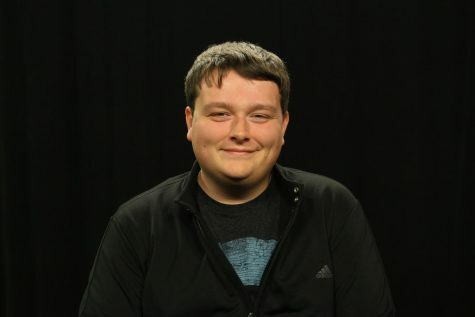 RMU Sentry Media/Garret Roberts. As the first notes of their “Peter Gunn Theme” began to play over the speakers, Frank Czuri took the stage and the room erupted in cheers. From “Shiver and Shake” to “Remote Control,” fans sang along with the band and danced to the music. During their performance of “Sidewalk Romeo,” The Silencers invited Spinning Jenny to perform on stage with them. The energy on stage combined the best of both bands, making the audience unable to resist moving to the beat. 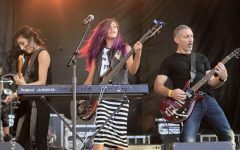 While the night was a success for both bands, they are also looking towards the future of their music. For the Silencers, the performances are only getting started. As for Spinning Jenny, the future will be busy with a new album and other projects that they are working on. While there is no date set for the release of the new album, they encourage fans to keep a close eye on their social media for any announcements. They can be found on Twitter, Instagram, Facebook or on their YouTube channel, SpinningJenny4. The Silencers will also be making announcements through their own Facebook page.